$45.00 | 150 ml / 5 fl. oz. As we age, our skin changes. We begin to lose collagen, which can result in wrinkles and loss of skin elasticity. The skin can also get darker, as sun damage can cause DNA damage and hyperpigmentation. If you want a home treatment to help improve the tone and texture of your skin, you want our Tone and Texture Correcting Body Lotion. Perfect for any skin type, it works immediately to soften and resurface rough skin, and correct tone. Utilizing alpha hydroxy acids, this is for anyone whose skin is environmentally damaged or requires a lightening of pigment. Lactic Acid – An Alpha Hydroxy Acid (AHA) that hydrates and exfoliates, reducing wrinkles and pigment discolorations. Glycolic Acid – Alpha hydroxy acid, exfoliates, reduce wrinkles and pigmentation. How do I use Tone and Texture Correcting Body Lotion? 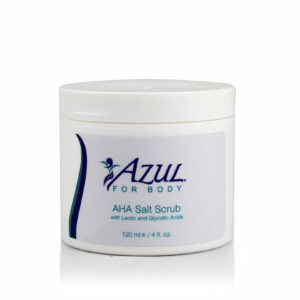 Apply liberally to all areas of the body that need tone and texture correction and massage into skin. Use once or twice daily. Use with caution on freshly shaven skin. The Alpha Hydroxy Acids (AHA) in this product may increase sun sensitivity – wear sunscreen or protective clothing during use to protect against sunburn. Continue sun protection after the lightening regimen to avoid UV-induced pigmentation.